Once a week I have decided to share with my blog with my daughter. 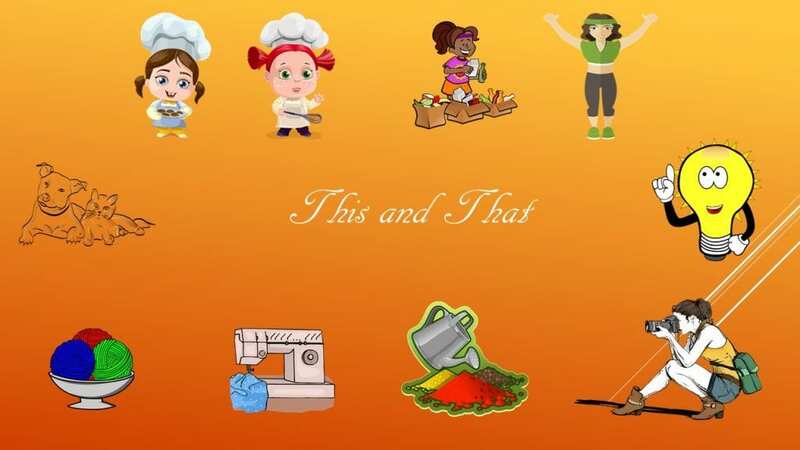 We will be posting reviews of useful items to make life easier, gardening tips, and pictures, craft projects, organization and other odds and ends. My daughter is the best at finding free samples and products for reviews. She got me hooked on a few myself. I recently got my first item to review. I figured with spring and summer on us, this would be a handy Item to try for traveling. 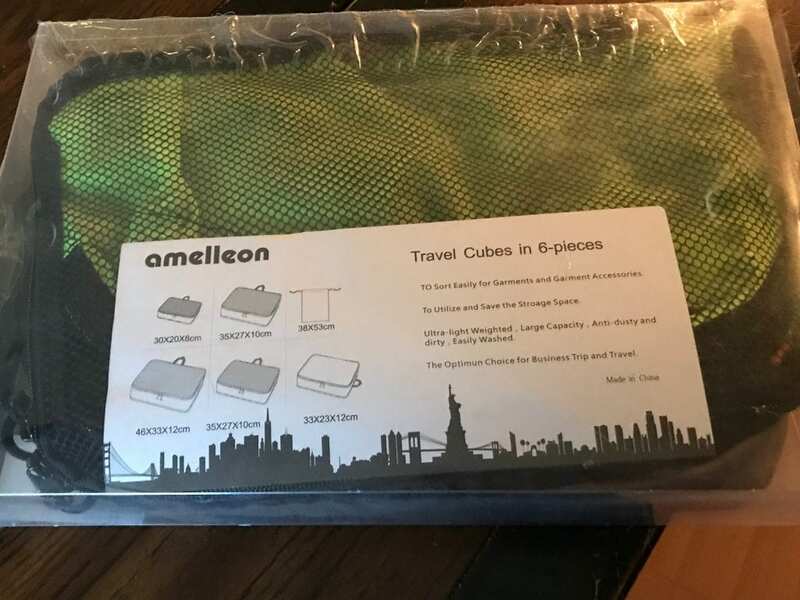 The set comes with five storage cubes in different sizes and one laundry bag. These will come in handy when traveling. I can put different components in each bag and just tuck the bags into my suitcase. 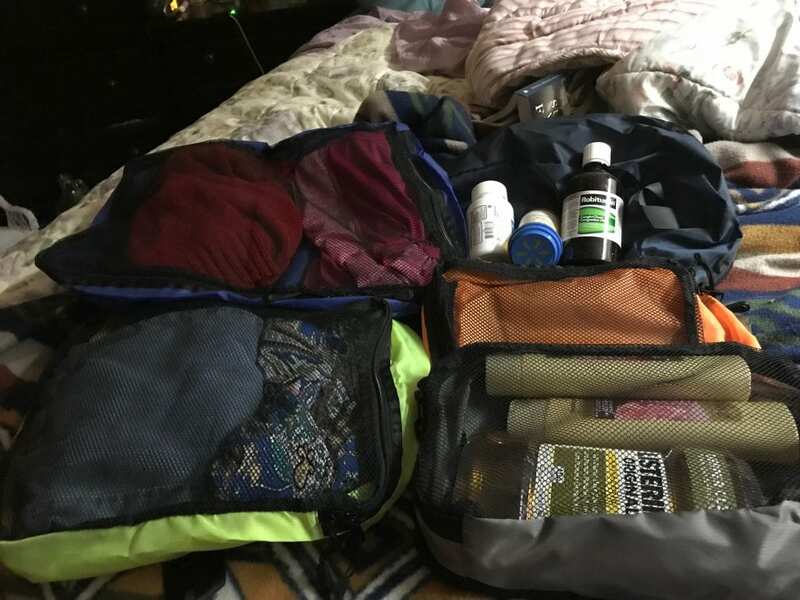 If going on a short overnight I could throw in a couple outfits in the largest bag tuck in the laundry bag, use the closed one for toiletries and medication. I would have two small bags to carry into a hotel and that would be so much better than a large suitcase and I could toss directly into the dressers at the hotels. You could use them for organizing drawers if space is an issue or you share such as in dorm rooms. You could use to organize your closet or bathroom. They are light-weight, durable, dustproof, easy to wipe off and pretty. They are in colors that would appeal to both male and females alike. Do you travel a lot? Go on weekend trips or overnighters? Do you have tips on traveling light and more organized? Remeber…If you can dream it…You can do it. I can see where they would come in handy for traveling or just tucking something into them like makeup and bathroom products like you suggested. Nice review. Thank you so much. These are really cool and much bigger than you’d think. you could probably get two to three outfits in the largest one and the one that doesn’t have the open mesh would hold all the toiletries you’d need (full-size bottles). I love them.